It’s a bleaching process that lightens discolouration of enamel and dentine. 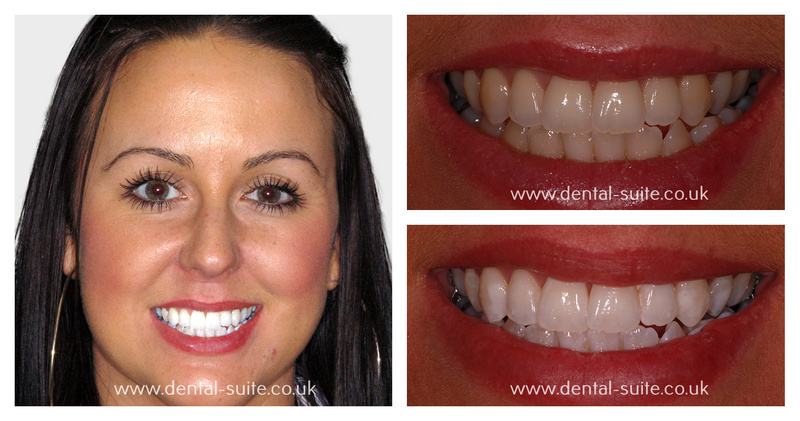 After whitening treatment at The Dental Suite your teeth will look several shades brighter. What causes staining of the teeth? There are many factors that can cause staining. Coffee, tea, red wine, smoking all cause tooth discolouration. What types of teeth whitening are there available? I have been on various cosmetic and whitening courses in the US and in the UK. At the Dental Suite, we offer various treatment options to meet patients financial and cosmetic needs. I only believe in offering whitening treatments and products that work and give my patients results. What does Zoom home whitening involve? The professional home whitening treatment allows you to carry out teeth whitening procedure in the comfort of your own home or work place, and yet benefit from the professional advice of a dentist. The product used is a high grade prescription quality whitening treatment. I initially check your teeth to ensure they are suitable for whitening. Impressions of your teeth are taken, from which two thin patented customised Super-fit Perfect Trays are moulded. These precision trays fit your teeth perfectly and comfortably. This is important to ensure close contact between all surfaces of your teeth and the gel. 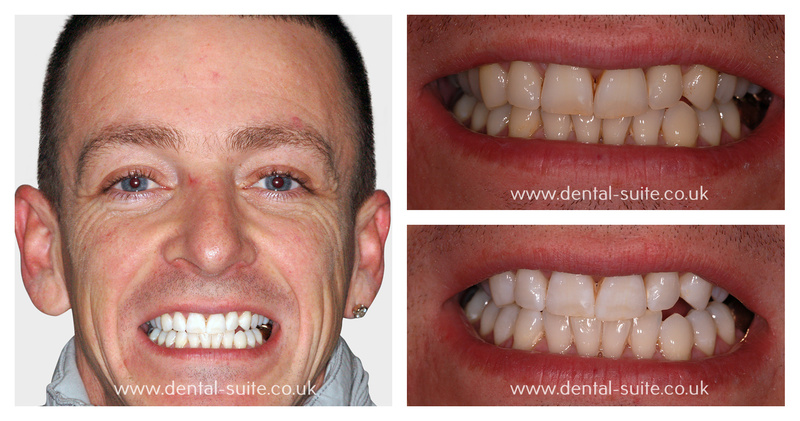 We will then explain how to apply the whitening gel to the trays and how to correctly place these trays on your teeth. For best results, these trays should be worn for half an hour, twice a day for two weeks. What is Zoom (laser) Teeth whitening? Chairside zoom laser whitening uses the latest New Dynamic Diffusion Technology. This is the most advanced light and chemical activated teeth whitening system which enhances the diffusion of the peroxide gel into the enamel. This is sometimes called “laser teeth whitening” but technically it is light-activated whitening. The whole process takes about 90 minutes. The Chairside gel is painted over your teeth after a protective coating has been applied over your gums and exposed dentine. The gel is then light activated by the Zoom lamp for 10 minutes. After the first cycle, the gel is removed, and this process is repeated twice. This treatment achieves an average of 8 shades improvement. Before and after photos (enamel shade analysis) will be taken to illustrate the change in your shading. The result can last up to two years. To give you even better result that lasts longer, I always recommend to carry out our professional home whitening to go with every Chairside Zoom treatment. Our Chairside Zoom treatment comes with a home whitening kit as standard. The teeth will always be lighter than they were. However, some people may want to touch-up their teeth by home re-whitening for one to two days, usually once or twice a year. This is especially useful if they continue to use staining substances such as coffee or tobacco products. Yes! Research and clinical studies indicate that whitening teeth with hydrogen peroxide under the supervision of a dentist is safe for teeth and gums. Some people experience temporary teeth sensitivity during the treatment. These symptoms always disappear within 1-2 days after interruption or completion of the treatment. Teeth Whitening treatment in Leicester & Loughborough… your choice! If you are looking for a brighter smile and are situated in the East Midlands, you will find that our Loughborough and Leicester clinics are in easy to reach and convenient locations. Many of our patients visit our Loughborough branch due to it being a short distance from Derby. The dental suite leicester and loughborough are both very good practice’s. I am about to start my brace treatment with them, I find all the staff very friendly and polite and I would recommend to a friend. The staff at Leicester..Anna,Kelly, Emma W and Emma G are great, they explain everything properly and are happy to answer any questions you have. Very happy with the treatment from the Dental Suite. The staff are lovely and the new premises are great! Having not been to the dentist for over 40 years you cannot believe how nervous I was but the time had come to do something about my discoloured teeth and chipped front tooth – The service I received was quality and unbelievably pain free and can now smile again – If the Dental Suite could get me a new woman as well I’d smile even more!